While photographing some delicious cajun shrimp for our featured recipe this week, we had a chance to sit down with Chef Cody and talk about his experience in the food industry, love for the east coast, and beliefs about sustainable (sea)food. Originally from Perry Sound, Ontario, Cody grew up as a prospective geologist, working as a dishwasher in his friend’s father’s kitchen. However, one fateful night changed the course of his life – there was a rush at the restaurant, and understaffed and overwhelmed, the chef acquired help from Cody, teaching him how to create and plate the dishes being served. Young Cody fell in love with it, and has been in the industry for 15 years since. Our Catch of the week subscribers get exclusive access to this recipe! Sign up now. 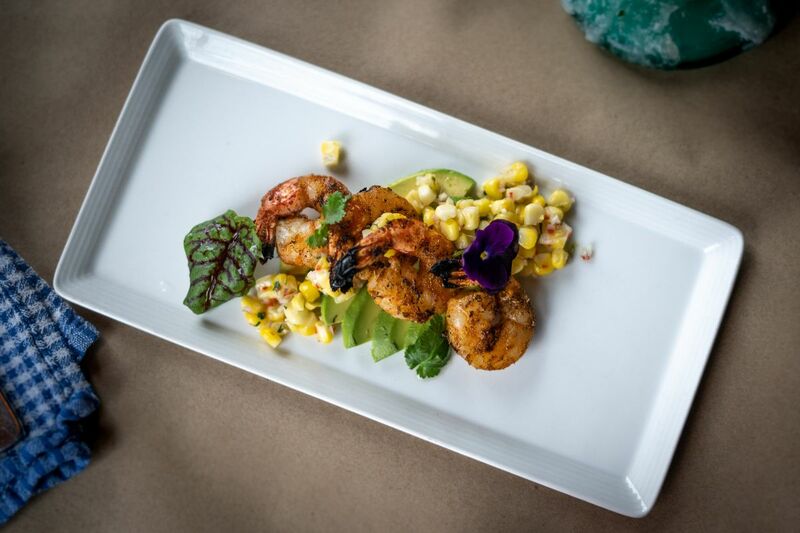 In between prepping for the dinner rush and happy hour, Chef Wallace whipped up a beautiful cajun-inspired shrimp dish using black tiger shrimp from Selva Shrimp, and sat down for a quick chat about seafood. 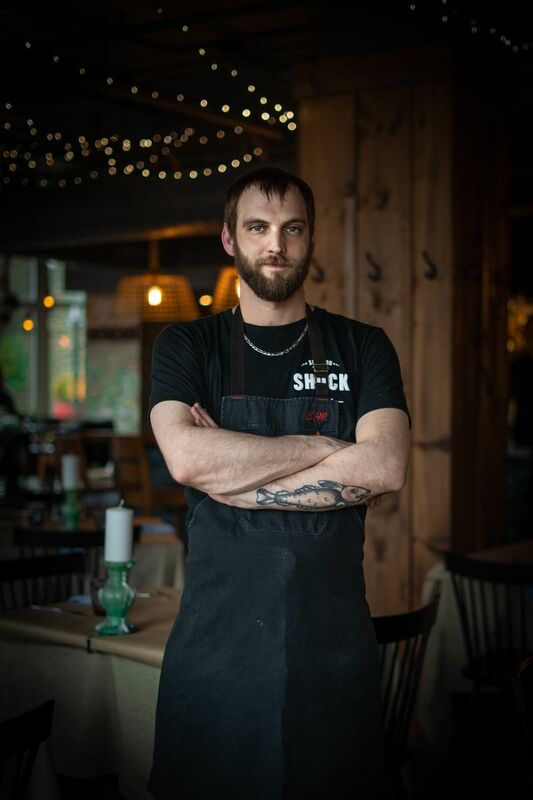 The Shuck Seafood & Raw Bar chef has always been drawn to the east coast – the ocean, the culture, the food – and has spent the larger part of the past decade in PEI and NS, so seafood is an undeniable part of his life. When asked why, as a chef, he sourced sustainable seafood, he took a moment to think about it. “For me, sustainability is about knowing that we can eat that fish the next day. No matter how good that fish or seafood is, if we can’t work with it tomorrow then what’s the point?” he told me with confidence. 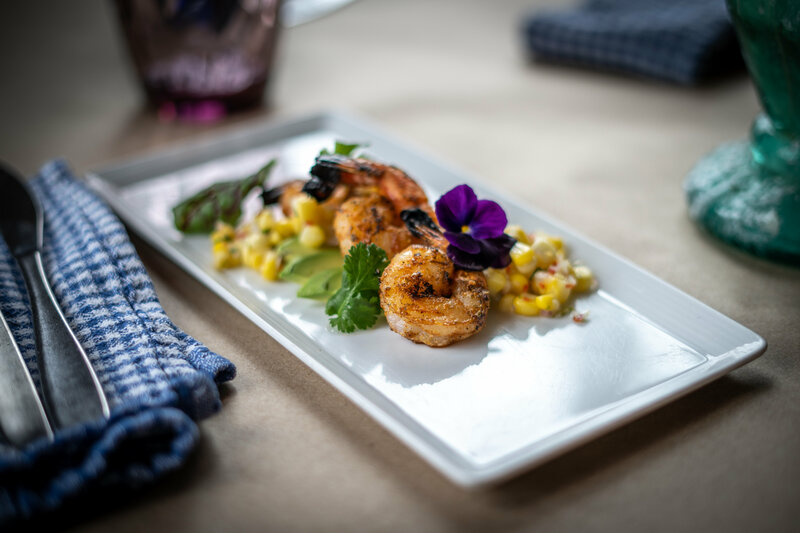 It got us thinking about the food we eat and why we consider it a sustainable choice – especially relevant when discussing the controversial subject that is shrimp. Shrimp is the most valuable traded marine product in the world today. In 2005, farmed shrimp was a 10.6 billion industry. Today, production is growing at an approximate rate of 10 percent annually—one of the highest growth rates in aquaculture. Conventional farmed shrimp production has been known to result in negative impacts to the environment. 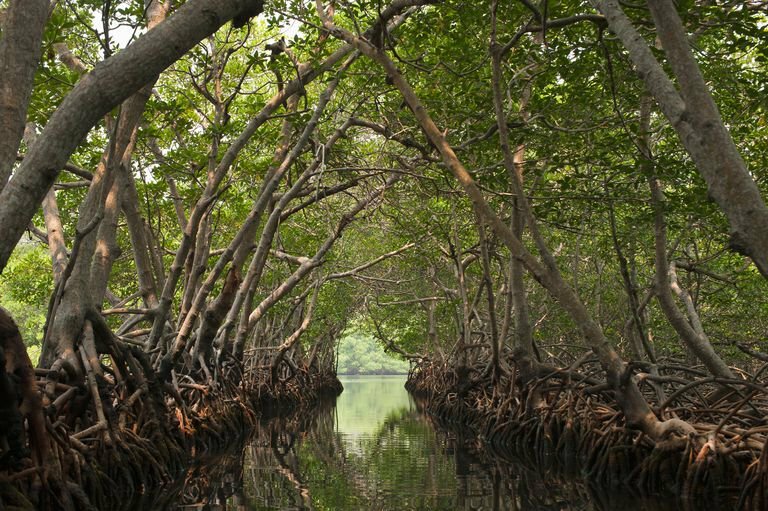 Ecologically-sensitive habitats are often cleared for farming production, especially mangroves. In the time it takes the shrimp to reach maturity, organic waste, chemicals, and antibiotics are released into the surrounding environment. These things in turn impact local livelihoods. Wild shrimp isn’t much better – often caught with bottom trawlers, the bycatch can far exceed the intended catch (bycatch meaning other species, like turtles and sharks, are being caught and discarded). Selva Shrimp is an outlier, and a success story in the world of farmed shrimp. The black tiger shrimp and white shrimp live and grow naturally in the mangroves of southern Vietnam, which serve as a breeding grounds and natural nursery for a lot of marine species (even sharks!). While many shrimp farms are destroying mangroves around the world, Selva has also been actively restoring them with local community partners. The shrimp live naturally in the mangroves, free of added feed, antibiotics, and anything that is not naturally occuring in the ocean. Once they have reached maturity, they head out to sea, as shrimp do when they grow up. When this migration occurs, the farmers harvest the shrimp using hand nets. 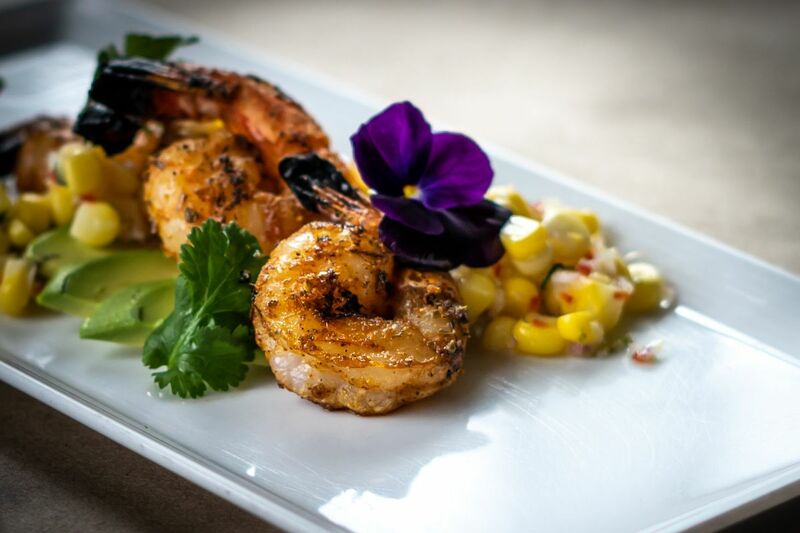 Pictured: More cajun shrimp, because yum! This is not an #ad. We just like talking about the people who are doing it RIGHT, and the reason we choose to source some of our seafood internationally. We believe it is important to partner with companies that truly support a sustainable alternative, and lead the industry with best practices. And while we do our best to support local fishers and farmers, seafood is indeed a global industry (fish do not adhere to national borders, after all), and thus it is imperative to think globally when tackling the contemperary issue of sustainable seafood. We’re hiring a CLEAN Leadership Summer Intern! As the shape of the job market changes and the demand for innovation increases, Nova Scotia needs youth who are literate in environmental and sustainability issues and jobs that thrive in a low-carbon economy. Clean Foundation is helping youth develop a career path focused on this by providing them with the resources and tools to move confidently into the workforce as skilled, knowledgeable leaders. How? Through the innovative Clean Leadership summer program. Clean Leadership is a sustainability-focused youth employment program that has produced thousands of graduates over its decades-long lifespan who are committed environmental leaders. We’re proud to be participating this summer as host employer, and we’re excited to hire our summer intern who will be joining our team as a Sustainable Seafood Intern. The community partner for this Summer Student Intern position through the Clean Leadership program will be Afishionado Fishmongers, reporting to Laurie Starr. In this position, you will be mainly responsible for assisting with day to day logistics of the Warehouse Market, a bustling farmer’s market, food hub, and logistical HQ for Afishionado Fishmongers, located in the heart of Halifax’s North End. A typical day may involve assisting with setting up the farmers’ market, interacting with clients to provide information on the sustainability of seafood, helping pack wholesale orders, communicating with the Afishionado driver and partner courier companies to get orders on the road, engaging and completing sales, diving into the literature of seafood sustainability, and jumping in to assist with deliveries where required. This is seafood sustainability in action. As a sustainable seafood social enterprise, Afishionado is actively disrupting the unsustainable commodity market by providing high-value alternative markets for small-scale community-based seafood harvesters. As an Afishionado intern, your actions directly contribute to the building of a seafood movement in Halifax and beyond that promotes seafood sustainability, traceability, transparency, and the story of where our seafood comes from. The successful candidate should have a keen interest in the local and sustainable food and seafood movement, and be motivated to apply concepts of sustainability into practical projects by interacting with resources, food products, clients, and customers on a day-to-day basis. The candidate should have an insatiable appetite for staying on top of the most up-to-date seafood sustainability reports, be comfortable with task management and prioritization, deal with a wide variety of constantly shifting responsibilities, be a self-starter not afraid to take action where required, and be extremely comfortable dealing directly with the public. Other tasks that may be assigned by Afishionado as required. Specific requirements and minimum qualifications required to successfully perform the job. These are the qualifications that are necessary for someone to be considered for the position. Do you eat meat? If you do, it’s more than likely been farmed, and highly unlikely that it’s been exclusively hunted from the wild. Most meat eaters can tell you that how farmed meat is grown has all sorts of differences, from its taste to its environmental impact. That’s why we find it particularly peculiar that many seafood consumers still have a steadfast fear of farmed fish. Just as all farmed meats aren’t equal, the same can be said for farmed seafood. We’re here to soothe your qualms and give you a little food for thought. First and foremost, at Afishionado we absolutely appreciate and encourage scrutinous food purchasing behaviours! Perhaps you only buy a certain type of farmed meat—maybe pasture raised beef or free-range chicken. Maybe you take the time to make sure your eggs are cage-free, and maybe only the freshest spring lamb will do for you! You might go to leaps and bounds to avoid eating beef sourced from a confirmed animal feedlot operation, and perhaps you’d scoff at the idea of eating chicken raised in battery cages. Yet it’s still farmed meat—it’s just that you’ve chosen a specific method of farming that you prefer for sustainability or quality reasons or both. The initial aversion to farmed seafood is often well deserved. There are many unsustainable large volumes, low-value aquaculture methods that pump low quality farmed seafood into the marketplace while having a huge environmental impact. Yet farmed seafood is far from a catch-all term. There is a distinct difference in quality, texture, taste, depending on how a species was grown. And there is a huge difference in sustainability. There are many different ways to raise a fish, and the resulting products are vastly different. Just as pasture-raised grass-fed beef might taste different and have a different texture than an animal that was fed an unnatural diet of corn, soy, and grains, an Atlantic Salmon grown in a recirculating closed containment aquaculture facility, fed a diet comprised of sustainably sourced wild marine protein and fish oils, will certainly taste different than an open-net pen-raised Atlantic Salmon that was fed cheap feed comprised of corn and chicken by-products. Responsibly grown seafood can taste absolutely delicious. Despite all of this, some folks are just deadset on wild seafood. It’s wild or nothing. We agree that a wild Atlantic Salmon definitely tastes different than a farmed one. It’s also a given that the modern-day chicken doesn’t taste like wild partridge or guinea fowl. Domesticated mutton and lamb don’t taste like wild bighorn sheep. We still find farm raised meats to be delicious, or we wouldn’t eat them. And farmed seafood can be a culinary delight as well. Wild seafood is incredible, and if responsibly fished, a sustainable source of nutrition that can sustain consumers and coastal communities for generations to come. But we can’t—and shouldn’t—all eat wild seafood exclusively. We can—and should—celebrate those pioneering individuals and enterprises that are taking a stand against large-scale aquaculture, who take the time to raise delicious seafood responsibly. Together, sustainable aquaculture and sustainable fishing can make our seafood supply chain resilient and diverse for now and generations to come. Our eating decisions directly impact the future of seafood. Afishionado Fishmongers is looking for volunteers for the Halifax Oyster Festival to help shuck and schlep. If you are interested in participating we would love to have you. Please feel free to contact us if you have any question or just fill your information below. Would you like to volunteer with us? E-mail hello@afishionado.ca or choose your suitable session for volunteering to help us shuck! Friday night session volunteer: click HERE. Saturday afternoon session volunteer: click HERE. Saturday night session volunteer: click HERE. For more information about Halifax Oyster Festival and to buy tickets click HERE. Where: Ondaatje Hall, 6135 University Avenue, Marion McCain Arts & Social Sciences building.